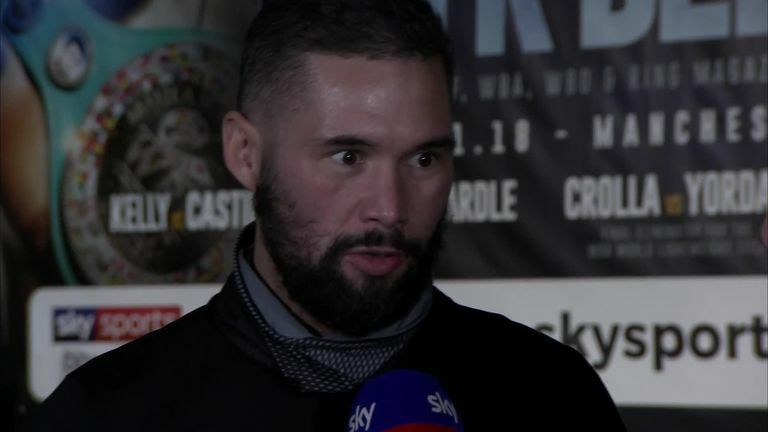 Tony Bellew admitted it was like 'two maniacs in the mirror' when he shared a face-off with Oleksandr Usyk at the final weigh-in for their undisputed title fight. The Merseysider comfortably made the cruiserweight limit, tipping the scales at 14st 3lbs 5oz, with Usyk coming in at 14st 2lbs 4oz before he defends all four of his belts in Manchester on Saturday night, live on Sky Sports Box Office. Both fighters covered their faces as Bellew wore a bandana, while Usyk sported a Manchester City scarf, and the British boxer predicted a dramatic showdown this weekend. 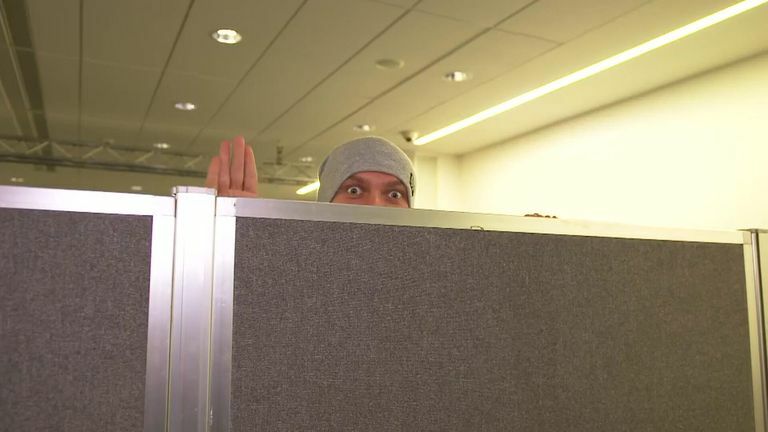 Asked what he saw in Usyk, Bellew told Sky Sports News: "No fear. A lunatic. The exact same thing that he's looking at. It's like two maniacs in the mirror. "We're going to create madness, and you're going to get one of the greatest fights you've ever seen of all time, believe you me. As long as he doesn't come here to run, play games, and steal decisions. "He's a formidable and fantastic champion. Pound for pound one of the kings of the world. I've been an underdog so many times, you might as well start calling me the 'overdog', because tomorrow night I'm going to shock the odds once again, and surprise the whole world of boxing. "The only person who beats me, is me. Tomorrow night I will be crowned the king of the world." Bellew had no problems making weight after stepping down a division to challenge Usyk, and revealed how he delivered a parting message to the Ukrainian. "I feel fantastic, fat boy is in shape," he said. "I made weight, told everyone I would, and I'm ready for war. "I told them right there, be ready for war tomorrow, because that's what this is. There can be no peace until there is war. Tomorrow night, I'm going to war, believe you me. "He's in at the deep end. I know exactly where I'm at. I've experienced everything in this game. Tomorrow night, it's going to show. I cannot wait for war."